This week I did some beta-reading for my friend Karen Coles, who, as KE Coles, wrote the highly successful young adult Mesmeris trilogy, the dark and compelling story of a sinister religious cult. When Karen told me she was going to write an historical next, I immediately offered to read it for her if she thought it might help and I was delighted when she asked me to look at the opening chapters. What I didn't know before I started it was that it would turn out to be pure gothic. Bliss! 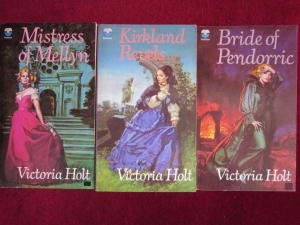 I've been a fan of the gothic romance ever since I was a teenager lapping up Victoria Holt's wonderful books. The chapters I beta-read were filled with atmosphere (Karen is superb at creating atmosphere, as you'll know if you've read Mesmeris) and rich description, plus a generous sprinkling of menace and mystery. My feedback praised all these elements, then went on to make a couple of comments about how I thought she could make her writing even better. She was pleased with my feedback and agreed with my comments. Phew! One happy writer and one happy beta-reader. If only it could always be like that! A couple of years ago, I was asked to beta-read for a friend, who made a point of insisting several times, "Be honest." So I was. There isn't much point being a beta-reader if you aren't. I gave feedback on what I considered his writing's strengths to be, followed by some queries and suggestions. Let's just say he wasn't pleased. He clearly didn't want a beta-reader - he just wanted someone to admire his work. He should have asked his mum to read it. Have you ever a beta-reader for another writer? Did it go well? Share your beta-reader stories here! Wise words, Jen! It's important that writer and beta-reader have the same expectations. In the end, it's a matter of the writer's attitude to critique, though of course the person doing the reading and critiquing has a responsibility to deliver the critique in a positive and helpful way. Like critiques, beta reads are tricky. I take the 'two stars and a wish' approach to both, but sometimes the feedback is well received and other times it isn't. I've found it all depends on how receptive the writer is to the idea of a beta read or critique...in case of doubt, it's best to review expectations at the start so there are no (unpleasant) surprises later. Lucky you, beta-reading such an excellent book, Kate! Just enjoy reading it and think about commenting afterwards. Being able to report back on how captivated you were is going to delight the author. I'm beta-reading at the moment, but I'm so engrossed in the story that I keep forgetting to think about the writing behind it. That's probably the sign of an excellent book and a terrible beta-reader!